So, if you caught the last post you might just have spotted this drawing. 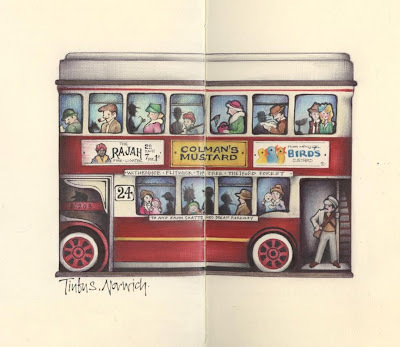 I have drawn this little tin bus in the past. Twice, in fact. In some ways I think it might have been more successful back then. The colours worked better, I think. But, I wanted to draw it in my Moleskine. My travel Moleskine. So I drew it all over again. this is why i keep coming back, excellent work again! This is fantastically rendered! You take such care with the detail. I am very impressed by the way you use both the pages on the Moleskine with such level of consistency in coloring. Gorgeous! 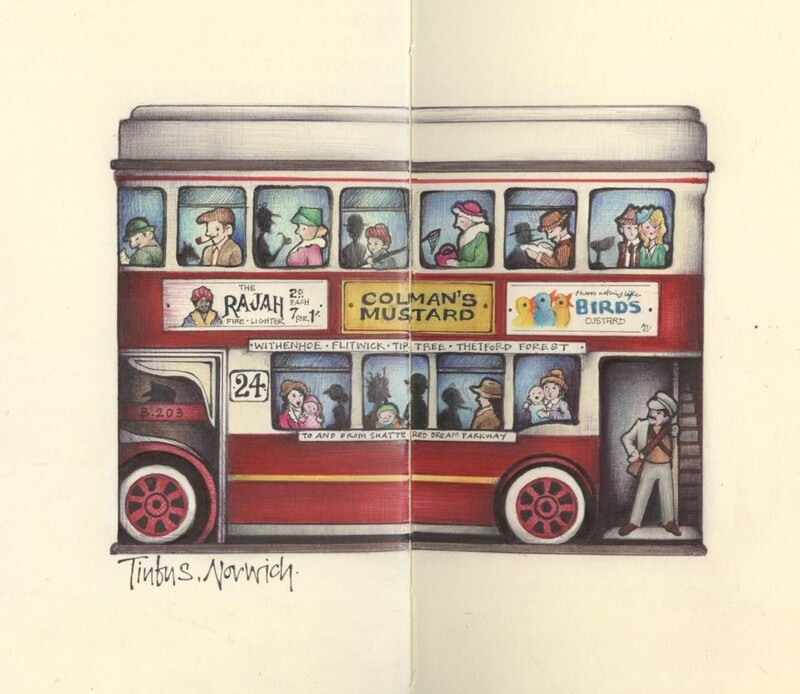 I used to have a bus very much like this one, I wonder where it is now... Very nice.